TalkTalk has staged an illustration of exactly why it has described Lord Mandelson's hardline approach to illegal downloaders as naïve. The ISP has been a major critic of plans to cut off people who download content illegally, and staged a demonstration of one of the key problems. TalkTalk's Matt Roxburgh identified 23 unsecured WiFi connections on street and downloaded files through them to show that people could find themselves in hot water without actually doing anything wrong. "The Mandelson scheme is every bit as wrong-headed as it is naive," said Andrew Heaney, TalkTalk's director of strategy and regulation. "The lack of presumption of innocence and the absence of judicial process combined with the prevalence of wi-fi hacking will result in innocent people being disconnected," he said. 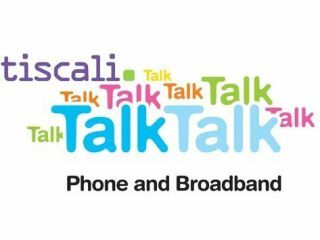 Permission had been given by the members of the public and the downloads in this case were illegal, but TalkTalk's illustration does highlight a key problem. Opting for a system where repeat offenders could be cut off without actually doing anything wrong at all – merely having an unprotected Wi-Fi connection – is a recipe for confusion and difficulty. "We realise it's possible for mistakes to occur or for people to have their wi-fi connection hi-jacked," said the Department for Business, Innovation and Skills, responding to the demonstration. "So it's important we have an independent and easy route of appeal at all stages in the process."